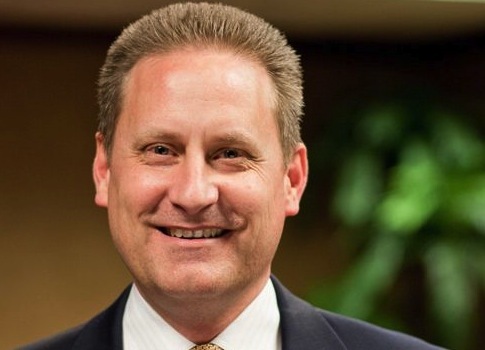 The president of Hobby Lobby discussed his company’s ongoing lawsuit against the Obama administration regarding the contraceptive mandate, which goes before the Supreme Court March 25 for oral arguments. Steve Green’s arts-and-crafts chain is suing the administration over the requirement that the company provide its employees with abortifacient drugs or face fines of $1.3 million per day. Hobby Lobby objects because its owners, the Green family, believe that their faith prohibits abortion. Green sat down with reporters on Wednesday morning for his first on-the-record interview to discuss the lawsuit. The following is a transcript of the interview, edited for clarity and length. 1985 was an interesting year for us. That was the year that my dad [Hobby Lobby founder David Green] invited the family to come over to his house that spring. I had two cousins, my brother, my sister, my brother in law, mom, dad—everybody was involved in the business. And he invited us all over, sat down, and he said, "I don’t know how we’ll ever be able to survive." The oil boom had busted in the ‘80s and Oklahoma was hard hit. He got to a point in ’85 when he did not know how we would make it. He spent hours of his day on his knees in prayer. He would try to avoid the phone because they weren’t good calls. Basically, he prayed out to God, "God, if you want this to survive, you’re going to have to help, because I don’t know how it’s going to make it." And obviously it did make it. It became very real for him at that point—not that it wasn’t prior—but it became even that much more real that this really isn’t our company. This is God’s company, and our responsibility is to operate it according to the guidelines he’s given us in his Word. We close on Sundays because we want our employees to spend time with their families. We know that what’s more important than the business is the family. It’s the foundation of any society. We close at eight instead of nine as most retailers do. We’re only open 66 hours in a week. I don’t know of any retailer our size that is only open 66 hours. The starting minimum wage is $14 an hour. We have a free clinic on our campus there in Oklahoma City where our warehouses are, where probably 3,000 employees or so work. We provide that for our employees. We know that our employees are our utmost reason for our success. We want good people, we’ve got a lot of great people. We find ourselves in kind of a precarious situation, where the government’s forcing us in essence to become a free abortion provider, which we don’t want to be. What I hear quite often is that we’re trying to impose our religion on our employees, and it’s nothing of the sort. If I could keep every pharmacy from issuing every one of our employees these abortive products, then I might be imposing my religion, but I’m not doing that, I’m not even asking to do that. I just want to stay out of it. I want to stay out of it just like we are not required on procedural abortions to be involved, but the government’s telling me I have to be involved in chemical abortions. I want to stay out of it. Don’t bring me into it. Let that be between a woman and her doctor. But the government tells me I can’t. I have to freely provide these abortive products to our employees. I’m sure we have a mix. We have a lot of support from our employees. A lot of the people we’ve hired because they appreciate what we stand for. That’s part of the attraction for some of our employees. But we have employees from all different views and perspectives, and some would disagree with what we do. But again, a percent, I don’t know. We haven’t put a number to it, but I wouldn’t be surprised if it were similar to the amicus briefs [of which two-thirds supported Hobby Lobby while one-third supported the administration]. That was one of the original discussions that we had, but at the time the exchanges weren’t up, and we have people on our plan that have life issues that they’re dealing with, and for us to drop them at that time would not have been an option for us either, because they could not have gotten insurance. They had pre-existing conditions that were life issues, and so at that point it wasn’t even an option for us.